Leads are not an easy thing to get. So, once you get a lead, it’s important that you treat them like gold! How exactly do you do this? Engage them immediately with valuable content. Provide them an offer that fits their needs. Nurture them like a mother nurtures her newborn baby. There’s a saying that goes: "People don’t care how much you know until they know how much you care". This is the mindset of your lead. Just because they’ve expressed interest in your services does not mean they are ready to get started with you yet. Perhaps they found you through an Internet search. As a result, they clicked on your website, saw your cool pictures, and requested more information. What is your #1 fitness concern? In the past, what has worked for you and not when it comes to your fitness? What’s your biggest frustration with your health? I hope you noticed that I said weekly. 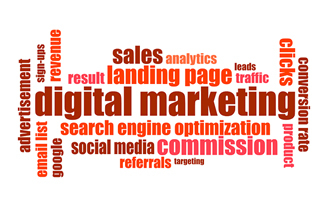 I am firm believer that we should be engaging our leads/contact list at least twice/week. 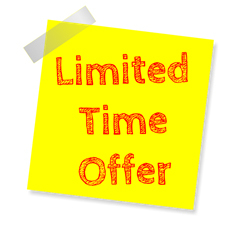 Now that we’ve shown them we care through valuable content, it is time to provide them with an offer. There is no exact timetable for when you should make an offer to a lead after providing valuable content. But, I believe a month is a good place to start. If you already have a 21/28 Day or 6 week challenge, I would offer this to them. However, I might add in something of value that speaks to them if it’s not already included. For example, if your lead mentioned to you that she struggles with making simple meals, I would provide them healthy meal ideas as a bonus for signing up for your program. Also, if your program does not include other “free” things, I would make sure that it does. Doing this shows that you are still providing valuable content even as they become a client. This might include things such as a company t-shirt, a water bottle, a grocery bag, discount codes to partnerships with local CSA’s or juice bars, etc. I believe in overwhelming my leads instead of underwhelming, and so should you! Once they become your client, it’s your time to make them feel like they are the most important person in the world; like a mom makes her new born baby feel! You must always have the mindset that at any time, you could lose this person as a client. Trust me, they are “one good offer” or “one best friend who is doing a better program” away from becoming a former client of yours. Loyalty rarely exists today. Texting them to say great workout today. Constantly asking for feedback as to how you can improve their experience. Being flexible with them when they cancel unexpectedly. Partnering with their favorite businesses (i.e. nail/hair salon, favorite restaurant) to offer them free or discounted goods. Writing them a hand-written note for achieving milestones, providing referrals or, just because. We should all being turning leads into lifetime clients. You have to be strategic in how you do this. This can be done by engaging them immediately with valuable content, providing them an offer that fits their needs and nurturing them like a mother nurtures her newborn baby. If you follow my recommendations, you will turn leads into lifetime clients and raving fans! Maurice Williams offers a rare combination of advanced academic training, personal experience as a competitive athlete, and twenty years of experience in personal fitness and training. That combination –- a strong understanding of exercise and sport science and clinical exercise physiology, the determination of a competitive athlete, and broad fitness experience –- makes Maurice uniquely effective in helping his clients meet their health and fitness goals. He has a BS in Exercise/Sport Science from Elon University and an MS in Clinical Exercise Physiology from Ohio University. 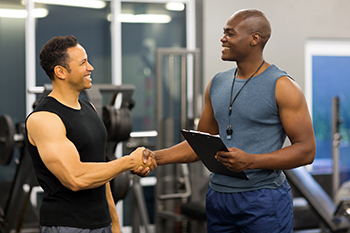 Recognized as a Master Personal Trainer by the National Academy of Sports Medicine (NASM) and an Elite Personal Fitness Trainer by IDEA, Maurice can help you no matter what your age, condition, or fitness goals. He works with women between the ages of 35-50 who are looking to regain the energy and look that they had in their 20’s and 30’s so they will not be frustrated and upset with themselves when they look in the mirror. He also is certified as a Personal Fitness Trainer, Corrective Exercise Specialist, Performance Enhancement Specialist, Senior Fitness Specialist, Weight Loss Specialist & Fitness Nutrition Specialist by NASM, a Certified Strength and Conditioning Specialist by the National Strength and Conditioning Association (NSCA), a Barefoot Training Specialist-Level 1 through EBFA, a Fitness Nutrition Coach-Level 1 through Precision Nutrition and a Master Instructor for NASM & Most-Fit. 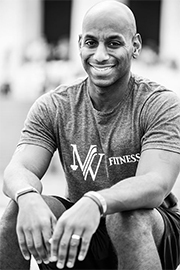 As a fitness educator with his own education company, Move Well Fit Academy, Maurice teaches the Certified Personal Trainer course through NASM. Maurice exercises his clients through the concept of functional training – focusing on everyday body movements, not muscles, in a progressive fashion to allow for optimal improvements in everyday activities, such as walking and lifting, as well as helping contribute to weight loss, increased stamina and strength. Maurice has helped people match exercise to their specific health challenges, too, including diabetes, osteoporosis, multiple sclerosis, hypertension, coronary artery disease, lower back pain, pulmonary issues, and pregnancy. His personal training studio, Move Well Fitness, specializes in 30-minute, semi-private (3-5 people) personal group training sessions that action packed with results driven programs. Maurice believes “Everyone has fitness is them, the challenge is bringing the fitness out.” His current workout includes resistance training, cardio and yoga. A former high school and collegiate athlete, Maurice grew up in South Carolina with roots that reach back to Brooklyn, NY. An avid sports fan, he still roots for Elon and his favorites, the Miami Hurricanes and the UNC Tarheels. A leader in his church, husband with a beautiful wife (just ask him) and father of four children, Maurice brings the right values to his work and his clients – a shared commitment to good health and fitness, an honest determination, and an understanding of what it takes to meet difficult challenges.